Carbon Zinc Batteries. Super Heavy Duty. 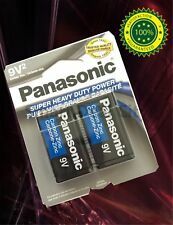 ---4 Panasonic 9V batteries ---Heavy Duty Batteries! ---Guaranteed Good till 2020 or longer! ---Free Shipping! 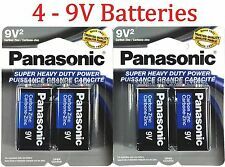 PACKAGE CONTENTS: 2 - 2 Panasonic 9V batteries Check out our Variety of Batteries and Deals By Clicking Here ====> [BATTERIES] (https://stores.ebay.com/beckarra/Batteries-/_i.html?_fsub=14936776014&_sid=511095774&_trksid=p4634.c0.m322). 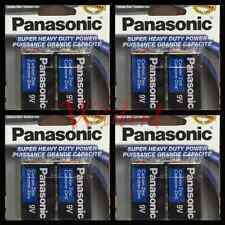 4 piece Size 9V 0% Hg Panasonic Heavy Duty 9V Zinc Carbon Battery. 9V, Size 9V, 6F22, 6LR61. 2 pcs = 1 Card, 4 pcs = 2 Card. VARTA name stands for "Made in Germany" and therefore also for quality and expertise that are appreciated all over the world for more than 130 years. 9V Panasonic Super Heavy Duty Batteries. 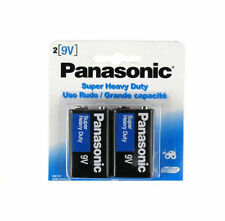 Panasonic Heavy Duty Batteries. Super heavy duty. Very often there is more than one part available per application as auto makers often switch midyear. Panasonic zinc carbon batteries have been designed for products that do not require high energy consumption. Reference IEC 6F22. VARTA Type 1 pcs. Battery Size 9V Block. Weight 38 gr. Food & beverages. 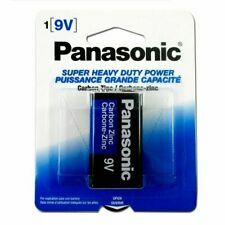 Panasonic Heavy Duty Batteries. = 24 BATTERIES TOTAL. SUPER HEAVY DUTY POWER. We will try our best to solve the issues. We apologize for any inconvenience. Product Details. 8 Panasonic 9V batteries. Condition: New. 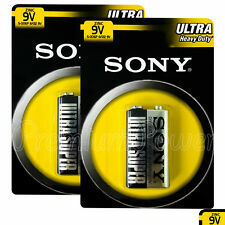 4x GENUINE SONY ULTRA HEAVY DUTY 9v 9 VOLT BLOCK S006PB1A BATTERY CELL PP3. 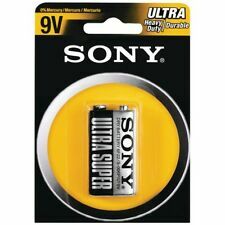 Sony 9V Volt PP3 Block Battery. Ultra Heavy Duty in the Carbon Zinc Range. Sony 9Volt 6F222. 10 PCS 6F22 9V Heavy Duty Batteries. 6F22 9V heavy duty. Ten (10) new 9V heavy duty batteries. Battery Type. 200PCS 9V 6F22 Carbon Zinc Battery PKCELL. Model: 6F22. 6F22 battery. Chemistry: carbon zinc. Panasonic Super Heavy Duty Power batteries are great value for low drain devices.Super Heavy Duty Power battery cells are engineered and produced by Panasonic, a trusted industry leader in battery technology since 1931. 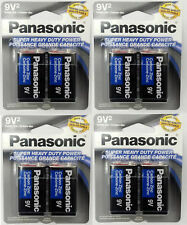 6 piece Size 9V 0% Hg Panasonic Heavy Duty 9V Zinc Carbon Battery. 9V, Size 9V, 6F22, 6LR61. 2 pcs = 1 Card, 4 pcs = 2 Card. 120PCS 9V 6F22 Carbon Zinc Battery PKCELL. Model: 6F22. 6F22 battery. Chemistry: carbon zinc. 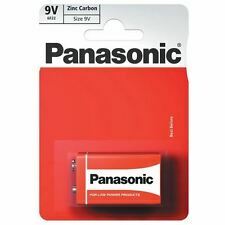 8 piece Size 9V 0% Hg Panasonic Heavy Duty 9V Zinc Carbon Battery. 9V, Size 9V, 6F22, 6LR61. 2 pcs = 1 Card, 4 pcs = 2 Card. 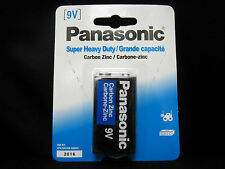 2 piece Size 9V 0% Hg Panasonic Heavy Duty 9V Zinc Carbon Battery. 9V, Size 9V, 6F22, 6LR61. 2 pcs = 1 Card, 4 pcs = 2 Card. 120PCS 9V 6F22 Carbon Zinc Battery PKCELL. Model: 6F22. 6F22 battery. Chemistry: carbon zinc. Shelf Life: 2years. 40x 9V Zinc Carbon Dry Batteries 6F22 9 Volt for Smoke Detector PKCELL. 40x Zinc Carbon Dry Cell Batteries 6F22 9V 9 Volt for Smoke Detector PKCELL. Model: 6F22. Shelf Life: 3 years. 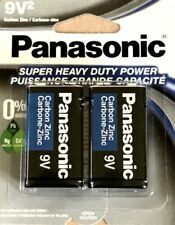 10 piece Size 9V 0% Hg Panasonic Heavy Duty 9V Zinc Carbon Battery. 9V, Size 9V, 6F22, 6LR61. 2 pcs = 1 Card, 4 pcs = 2 Card.